Discover the simple strategies – and the crucial mindset shift – that land you in the perfect network. As tempting as it is for us introverts to think that having an online-only business means we can hunker down and keep to ourselves, the truth is that we all need outside perspectives. 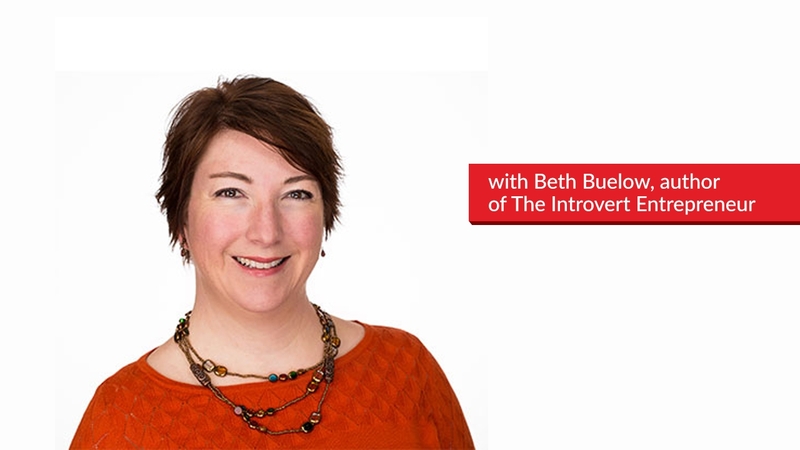 In this episode of The Introvert’s Edge, Beth Buelow of The Introvert Entrepreneur explains why it’s crucial that we get out there and connect with other people, whether through networking, attending presentations, or meeting for lunch. It’s not just about building a network; it’s about creating inspiration. It’s natural for introverts to prefer working on their own rather than being drawn to outside people and groups. But as Beth explains, when we isolate too much, we get stuck in our heads and our ideas can dry up. External stimulation, even something as simple as attending a webinar or going to a movie, has the effect of pulling us out of our heads, allowing us to generate fresh ideas. If the idea of socializing causes you a pang of introverted anxiety, take heart – Beth suggests that these activities can be entirely on your own terms. Choose ways to connect with others that you’re comfortable with, that will replenish your coffers, and that will keep your brain stimulated. You don’t have to mingle with every person in the room; the important thing is to participate in activities that give you new ideas and insights on your business. Of course, this doesn’t mean that the people you speak to are going to hand you the answers. It’s simply the process of being open to new ideas, hearing new perspectives, and talking through your thoughts – this is what can turn on that light bulb and reveal the way forward. If you’ve chosen a safe space to connect, and you feel a level of control, you may be amazed at what insights you can discover. You may cringe at the idea of attending a networking event or a mastermind, but the right group for you is out there. For example, Beth describes the mastermind group that she’s a part of, which is highly structured, well-facilitated, and provides opportunities for people to speak safely and comfortably. This results in a nurturing, empowering environment that works for her as an introvert. What does this mean for you? Beth advises that you not give up in your search for a helpful, supportive group. If one group doesn’t work, no problem; try something else. There is absolutely no need to try to force a fit. If you aren’t comfortable, don’t make it about you. It’s simply about finding a network in which you feel supported and heard – and that group does exist. Keep putting yourself out there, and you’ll find it. First, notice who you’re currently surrounding yourself with. Are you primarily spending your time with family and friends in traditional employment, who don’t understand the challenges of entrepreneurship? Are they supportive, or all doom and gloom? You don’t have to cut them out of your life, but you’ve got to connect with other entrepreneurs. Try an organization like BNI or Toastmasters, and pay attention to how you feel in the room. Give it a fair chance, but don’t force yourself to continue attending if it isn’t the right fit. It’s all about experimentation and persistence. It may sound contrary, but it’s important to remember that once you’ve found the right group, you also need to be conscious of when it’s time to leave. When you’re taking the next step in your business, you want to surround yourself with people who are already accomplishing what you want to accomplish. Want to write a book? Time to surround yourself with authors. Be deliberate and big-picture about who and what are going to help you most, and then get out there and make it happen. Matt: Hello everyone, and welcome back. And we’ve been having a great conversation with Beth Buelow. And we’re going to pick it up in a really interesting point. Because we were just talking offline. And as introverts, we really believe that it would be just great if we could just be in our office being the introverted entrepreneur that never has to leave our office, never has to do any of that out with people stuff. Beth, isn’t it fine for us just to do that? Beth: I wish. Yeah, it doesn’t really work that way, does it? Even if you decide you’re going to have a strictly online business, you still are putting yourself – it’s still important to put yourself out there. And even if it’s not for your business. 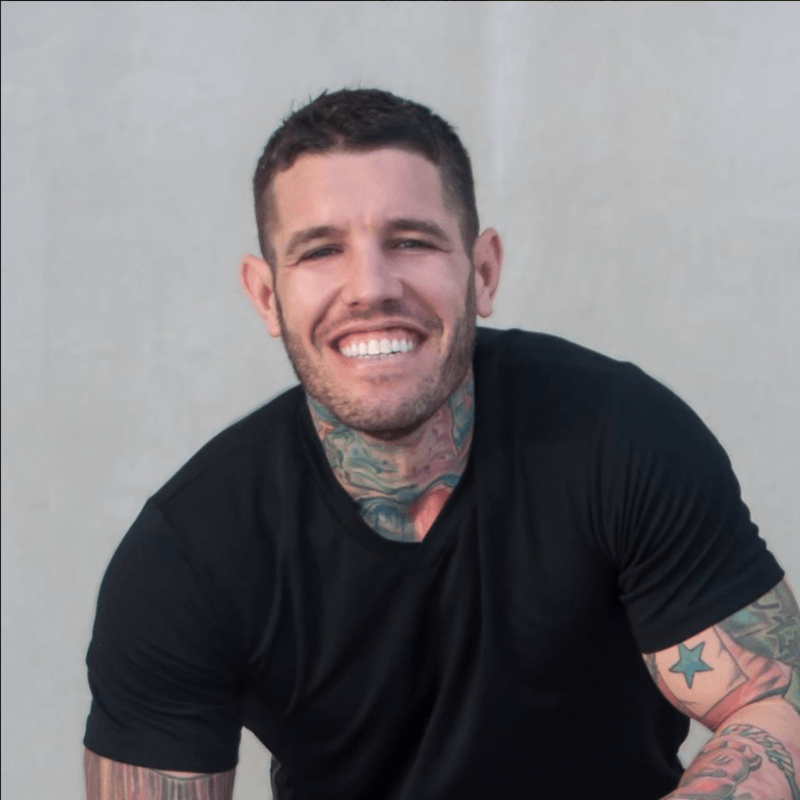 And I would venture that – yes, there– You still need to be putting yourself out there for your business – whether it’s networking, or even just connecting with your peers. I mean at a bare minimum, connect with other people in person, at live events – who are doing something similar to what you’re doing. Because we can get – as you said before, we can get in our heads big time. We can get very stuck on the hamster wheel of stories and thinking. And it’s – what I find is that when I isolate too much – ’cause we can all do it. We can all sort of get a little bit too turned inward for too long. When I do that, I end up – my ideas dry up. I’ve come up with like, what am I going to write about? What do I want to post? And part of that – and this is going to sound contrary to the introvert perspective. Because we talk about how we get our energy and our ideas from internal sources. But what we have to remember is that sometimes those internal sources have to be replenished with external stimulation. So by going to a webinar, going – even going to see a movie – it doesn’t really matter what that stimulation is. That gets my brain working again, and gets me able to generate ideas. So it’s really important – just even on a baseline social level – for us to make sure that we are bringing in our own carefully controlled and selected external stimulation, so that we can replenish those internal coffers – so that we’ve got something to draw on from the – in the first place. So to remember that – just because we’re introverts, doesn’t mean that we don’t need the outside world. That we don’t need outside perspectives or people. And I think most of us – especially if you have an entrepreneurial bent, you understand that. We have that sort of romanticized notion that I can just kind of hunker down and be in my cave, and have an online business and never have to pick up the phone or go to a networking event. But even – even if that’s true – in order to make sure that you’re keeping yourself healthy from a mental health and social perspective – it’s still important to be very intentional about reaching out in whatever way works for you. To connect with other people, and like I said – to replenish those coffers. Matt: I think that a lot of us kinda get stuck into that. I know, myself – I get focused on projects. And I will disappear down the rabbit hole of that project for a week, two weeks. And then I’ll get stuck on something. And I won’t be able to find a solution to that problem. And all of a sudden, a light bulb comes on. “When was the last time I left the house?” I go to the gym and I do all of those things. And I can do all of that in the house, and there can be – the problem of being an introverted entrepreneur, is we really never have to leave the house. But when we hit those road blocks, sometimes I need to – I need to talk about that with someone else. And a lot of the times, they don’t give me the answer I’m looking for. But they give me the opportunity for me to find the answer that I’ve always had. But it’s that conversing about where I’m stuck, that allows that to come out. What introverts need is a safe space. If we have that safe space, and we have chosen it – and we feel some level of control – then watch out. Because we can talk up a blue streak. We can verbally process with the best of them if we are given that breathing room. And it’s somewhat on our own terms. Like I said, we’ve chosen it. I’ve said, “Hey, I need– Do you have the bandwidth to listen to me talk about this for a while?” It’s in the talking it through. I can think of – even, even the subtitle for my book, “Amplify Your Strengths.” That didn’t come from journaling, that came from my coach – a coaching session I had with my coach. Where I just said that, and he heard it. And he said, “Ooh, that’s good.” It sounds contrary, amplify, introvert. I don’t know that I would’ve come up with that, if I had just been hunkered down and isolating. It was through that conversation that that was born. And I think probably a lot of introverts can look back and say, “Yeah, some of my best ideas came from a group conversation, a coaching conversation, a friend conversation.” Conversation, which seems contrary, but very necessary. Matt: I think that’s really important, Beth. Because I’ve read a lot of books. Or I should say, have listened to a lot of books on introversion. And there’s the occasional book that will talk about the fact that masterminds don’t work. The group conversations don’t work. Because a lot of times, we gravitate to the loudest person in the room. And we kind of go with their idea. Or a lot of times, you’ve got people that are in the conversation that are shirking and– We’ve gone to this open office format, which us introverts just can’t stand. And how it’s killing the ability to be creative for us introverts. But that doesn’t mean we switch it off altogether. We have to be willing to take on both our ability to be able to be inside and be creative. But also, when we hit roadblocks, be willing to reach out for help. Beth: Networking, masterminds, coaching – any of those things where you are putting– You put– I suggest that – as an introvert, if you’re looking for those kinds of support systems or teams in your business and in your life – to test a number of different ones. Put out feelers. I’m part of a mastermind group, and it’s very structured. There’s a host who facilitates the meeting, leaves space for everyone to speak. So having that really highly structured environment, makes it very safe. Somewhat predictable, but yet very nurturing and empowering to everybody who’s participating and very supportive and helpful. But that is our own unique environment that we’ve created, and not all masterminds are going to be like that. So if you plug into one thing, and it doesn’t fit – don’t give up on the entire model. If you feel like there might be something in there for you, test out a few different ones. Because ideally, what you’re going to be looking for, is something that is going to– Facilitate means to enable or to make easy. If someone is facilitating a networking event, a webinar, a mastermind appropriately – you’re going to feel safe. And it’s more likely going to be a good fit. And I would say, if you find one that’s not a good fit – if you feel pressure to be part of it, run away. Don’t waste your time, don’t waste your money, don’t say, “Oh it’s just me, I’ll get used to it. I’m the one that doesn’t – isn’t fitting in, and so I’ve got to change.” Don’t compromise that way. Because you can and you will find that place where you get the support you need. And in my Rapid Growth Academy, I have a group of people as a Facebook group. Where they can share and be part of a group of like-minded service providers. And I thought that that was something I would just tack on to be nice, and give people the ability to share. And it’s proven to be the biggest part of it. Because people love that group, where they have that safe place. So I’ve seen firsthand that it can work. But for people that have – they’re in isolation, that’s horrible. You’ve – small business, the isolation that goes with it, can be the reason why you go back to work. It can be the reason why you say, “The pain’s not worth the gain.” For an introvert to say, “I want to go back to being around people.” That’s horrific. So the – I guess the question I’m asking is– If I’m going from career to entrepreneurship, or if I’m starting in entrepreneurship, and I’ve got lots of friends that are all in careers – I need a new network, I need to expand into a supportive group of like-minded people. You might – it’s kind of – you might find out who your real friends are. Which sounds a little mean. But you’ll find out who are the ones that really support you and want you to be happy and pursue your dreams? It’s not about eliminating those people from your life. It’s about making sure that the ones that you are choosing to surround yourself with are supportive. And then – what I found, when I started out. I felt so fortunate. Here in the Seattle area, we had an organization called Biznik. And it was about collaboration, not competition. And it was deliberate – it was like a social network that met in person, and had an online presence – that was all about connecting entrepreneurs to each other, so that they could support each other in their journeys. So you could write blog posts, you could host workshops, you could go to networking events. They hosted speakers like Dan Pink and Chip and Dan Heath. And other people to come in and talk about entrepreneurial – the entrepreneur journey. I can trace almost every contact that I have now, back to that original group of people. Beth: So it was a really powerful networking, entrepreneur networking group. It has since dissolved. Which is unfortunate. Because it was a super powerful place for me. But there are– BNI – even things like Toastmasters. If you’re a female entrepreneur, it seems like there are a plethora of women business owners. eWomen networking. There’s all of those kinds of groups. Think about Rotaries. Other service clubs. Those are other places where you can connect with like-minded people. And again, choose those carefully. Pay attention to how you feel when you walk in the room. Who else is in the room, how connected do you feel? Give it a little bit of time – because you’re not going to feel connected right away, most likely. But just surround yourself with people who are also on the journey, who are in the arena. One thing that I would caution against – is staying in that space of people who are in the same stage of the journey as you for too long. What I found was really important, was to – yes – I need that group of entrepreneurs who gets what I’m going through, who’s in it right now. With whom I can commiserate, and say, “Oh my gosh, me too.” Or, “Yes, I’m really struggling.” Or, “Hey, I just got this big contract, I’m so excited.” And they get excited with me. That’s awesome. And you need that. But you also need to make sure that as you’re doing that, you’re growing your network with people who have accomplished – who have already accomplished what you want to accomplish. And so if you want to write a book, you have to start hanging out with people who have written the book and have gotten it published. If you want a million-dollar business, you’ve got to start hanging out with people who have a two-million-dollar business. That does a few things. But one of the biggest things that it does, is it normalizes it. It doesn’t become this thing that happens to other people, or it’s a mystery or it’s – somehow they’re on this different echelon. You get to learn from them, and with them. And learn – as they say, “They put their pants on one leg at a time just like everybody else.” So by talking with them, and learning how they got to where they are – it normalizes it for you. And it reminds you – just like we were talking before – that they didn’t just hang out a shingle, publish a book the next day, have 1000 people on their webinar three days later. They all started out from zero, and how did they do that, and how did they get to where they’re going? So you have to have that aspirational network that you’re surrounding yourself with as well. And I say – I make a point of that. Because it’s so easy to kind of get stuck in only surrounding yourself with people who are in the same place as you. And it’s really important to make sure that you start to break out of that, and keep climbing to that aspirational network. Matt: I think that’s really important, Beth. I mean – I’m just thinking about my journey through entrepreneurship. And I remember having a conversation with somebody once about moving from offline marketing – which is all I’d ever done – to online. And somebody’s saying, “Matt, you’re a guy that had a reading speed of a 6th grader in late high school. There’s no way you’re going to be able to build an online brand.” And of course there’s video now, so I could’ve just gone that way. But I’m now an internationally award-winning blogger. And I set the rules right there and then. Because otherwise, I would hear this all the time. And I didn’t believe I could build a successful online business. And I needed to do everything to make my mindset believe that it was possible. To have people heckling me at that time, would’ve been a horrible thing for me. The other thing, is that we want to have people that are in our lives that are at the same stage as us. But they’re in the same stage as us, and they haven’t made the next step for a reason. And you don’t want their reason to become your reason. Beth: Exactly. You don’t want their limiting beliefs to become yours. Beth: And if that’s all you’re surrounding yourself with, it can be very seductive to absorb them. Matt: And I fell victim to that a lot, when I was growing up. And the other thing though – is you can also find a group of people that are successful, and it be the wrong group. So I’ve found myself trying to want to be like more successful people, and then finding myself to become somebody I didn’t want to be. So there’s – you have to– I think what you’re really looking at or saying – and tell me if I’m projecting here. But it’s about assessing every environment. Beth: Yeah, check it out. Don’t make any assumptions that it’s going to fit, or that it’s not going to fit. Come into it. My big thing is to come into everything from a point of curiosity. I wonder what, I wonder what will happen? I wonder what this will be like? I wonder who I’ll meet? I wonder what I will learn? I wonder what I will be able to offer other people? So if we come into things from that point of curiosity, it helps us to kind of give those limiting beliefs – all those FUD’s – the fears, uncertainties and doubts. Kind of put them to the back seat. ‘Cause they’re always going to be there. It doesn’t matter how successful we are. You can take the most successful person, and they are still going to say, “I have a fear about this, this or this.” It’s more about your relationship to it. How you respond to it. Beth: And the more you can learn to respond to it from a positive place, the more resilient you’re going to be. Matt: That’s fantastic, Beth. Well Beth, thank you so much for sharing that. Going to ask you – you’ve understood a lot of the introvert abilities. 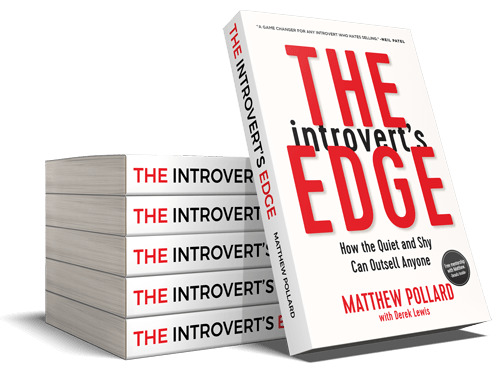 But what personally do you consider your introvert’s edge? Beth: I love that you say edge. I talk about super powers. And I think – I thought about this. That – I remember being asked kind of like, “What’s your gift?” And mine was, “I see people.” So I think that’s my introvert’s edge, I see people. And by that I mean – in addition to being an introvert, I have a very strong empathetic side. A very strong sensitive side. And so I pick up on the energy of other people pretty readily. And I really see beyond just what they’re presenting. Beyond what is on the surface. And that has served me both in my personal life, as well as a coach. Because your truth meter becomes very fine tuned. So my edge is that I see people. And that I have that empathy. And that I’m able to make that kind of connection. And create safety, so that they feel like they can really be themselves, and drop the facade. And be their truth. And if they can do that with one person, and that one person is able to hold that space for them and affirm them in their truth – then that gives them more courage to live their truth in front of other people. Matt: Beth, I think that’s an amazing super power or edge. I mean the – they talk about introverts having sometimes thin skin. And the correlation between being sensitive and being introverted is very high. But it is really a super power as a coach. Because if you can sense how people are feeling, then that makes – you can see things that an extrovert just can’t see. So I think that’s an amazing gift to have. So yeah, I mean – congratulations for having it. Matt: And I really appreciate everything you’ve shared. You’ve shared a huge amount of value here today. So thank you so much for that. Beth: Thank you. It was a pleasure, I enjoyed the conversation. Matt: Fantastic. And for everyone that’s with us today – watching or listening on – thank you so much for joining us. If you’ve enjoyed today’s segment, please go and post a review, subscribe. And allow other people to get access to this great content. Just share it with people. So that they can be more successful in their business, and in their life as an introvert. Because we can, and we can – a lot of times – beat our extroverted counterparts hands down, if we know the strategies. I’ll see you in the next one. Cheers.